It gives me great pleasure to review for you today a Cigar Pals cigar. When we went to the Dominican Republic (the DR) I never thought of having my own line of cigars. While they were talking to me about creating a line of cigars, I kept telling them: I’m just a guy who rides around on a motorcycle looking for cigar adventures and writing about them! Well look at me now, a big time cigar mogul…. Well not quite! 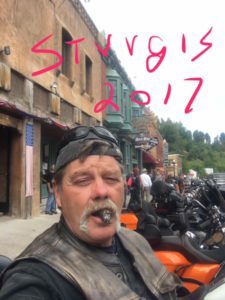 What I am is a guy who rides around the country on a motorcycle, looking for Cigar Adventures and writing about them and yes I have a line of cigars with the Cigar Pals name on them. Hopefully one day the cigars that I have made for Cigar Pals will generate enough income for me to afford to keep smoking cigars and that would be great! These cigars are manufactured in Tamboril Santiago, Dominican Republic, by a little old lady with a passel of kids, who lives in a shoe (oops! wrong story) Actually they are made by a company called Profeta, who I have heard is an underground company. I don’t really know what that means, but they would fit into the boutique classification. This is a small factory owned by a guy named Papito, who also happens to be the Master Blender. You can read a lot more about him and Profeta in my post “You can now buy Cigar Pals Cigars” from back in December. What I want to tell you about is the cigars themselves and that we are about two weeks from having 1000 of them in our hot little hands, and unlike some cigars I have reviewed, You really can have one, or twenty or as many as you want….just pay the lady and they are yours! We also will be featuring a Profeta AK60, which we will be calling the Hog. This is a 5.5″ x 60 ring gage Maduro, for you serious smokers, who like your cigar to pack a punch. We don’t have a breakdown on the blend in this stick yet, but I can’t wait to get my hands on one! There will also be a Maduro/Robusto in the mix, that I don’t have the lowdown on, but I brought some of them back from the DR with me and tried to hoard, unfortunately some of my friends found out about them and I had to share (friends are overrated sometimes). That’s the line up folks, of what you can be expecting. I suppose I should talk a little about the cigar in the video. Like I didn’t say enough in the video! I am almost out of the original run of Cigar Pals Cigars and really have been hording these. I gave a few out and sold some, to cover my cost, but I was afraid that I would run out before I could get some more and the thought terrified me (ok, I wasn’t really terrified in the truest sense of the word, but you know….). I made another video that was never published and never will be, because it looked like at one time the government was going to shut me down, before I was even in business, but that’s a long story and I won’t go into it. What I will say is that I am very pleased that we were able to find such a fine cigar to put our brand on. Profeta, for a small mom-and-pop shop (ok, I didn’t meet a mom and don’t know if there is one, but Papito is kind of like a pop, so shut up already) can hold their own against any cigars I have smoked in that price range, and I believe we could sell them for more than we are, but we will leave that discussion for another day. You can probably tell from the video that I am finding immense pleasure in my Cigar Pals stick (really, you can’t tell, what’s wrong with you?) It’s really late as I am writing this post, so I’m sorry if my humor offends anyone (no your not, Yes I am). This is what’s going to happen in the very near future: I will be placing a preorder link on the blog that will show up in every post and when you click on it, you will be able to preorder your Cigar Pals cigars. When we receive them, you will be the first ones we ship out. We haven’t worked out the logistics of this yet, but I have a coach who will be helping me to navigate these virgin waters and the kinks should be worked out by the time the cigars get here. 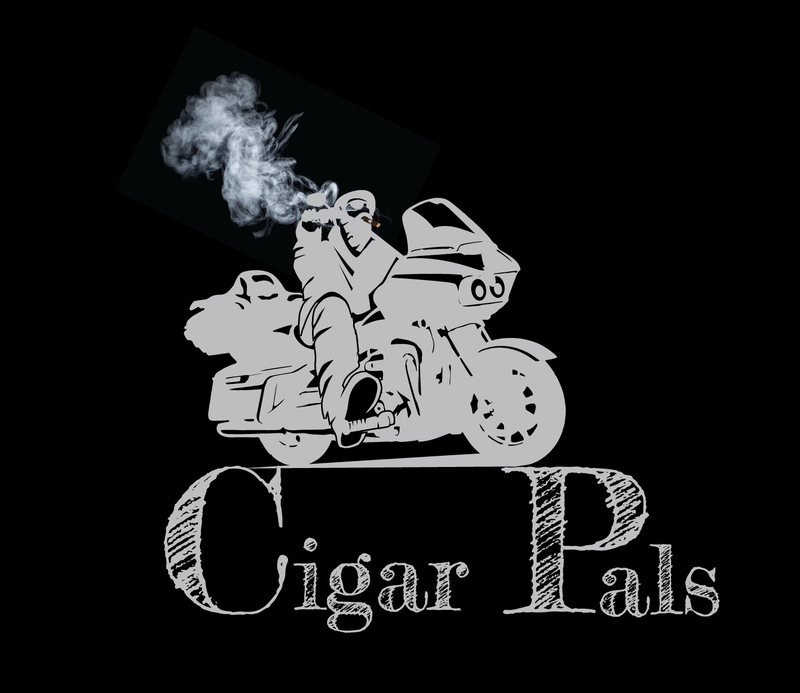 I sincerely hope that y’all are as excited as I am that we will once again have Cigar Pals Cigars and hope that you have enjoyed this Cigar Pals Cigar Review. Please feel free to ask questions, leave comments or suggestions for cigars you would like to see reviewed or places that you think I should stop by in my travels. I’m pleased that you are anticipating our cigars. I believe that you will enjoy them and look forward to hearing about your impression of the Cigar Pals stick. Hi Doug: Thanks for checking out the blog. We are very excited to be getting more Cigar Pals cigars and I enjoyed doing the Cigar Pals cigar review. Been holding them and only smoking them occasionally, but now that I have more on the way, I can enjoy one when I want. We are looking forward to being able to announce to my readers, the brick and mortar shops where they will be able to purchase them and hope that the Cigar Shoppe will be one of those on the list. We will let you know as soon as they come in! Great job Chuck on your presentation, keep it up. Thanks Jerry for Checking out my Cigar Pals cigar review. I’m glad you enjoyed it and want to mention that I have a new video review coming out shortly. I am looking for better editing software and hopefully will have something that works by the time I put the next one out. Thanks Chuck, can’t wait to try those blends. They sound awesome. Thanks for checking out the Cigar Pals Cigar Review Bill. I have received nothing but praise for these sticks and can’t wait to get the new shipment. I will let you know as soon as they arrive.